Product prices and availability are accurate as of 2019-04-20 09:11:25 EDT and are subject to change. Any price and availability information displayed on http://www.amazon.com/ at the time of purchase will apply to the purchase of this product. Embark on the unrivaled adventures that await in the puzzles and stories of this ancient-themed collection! 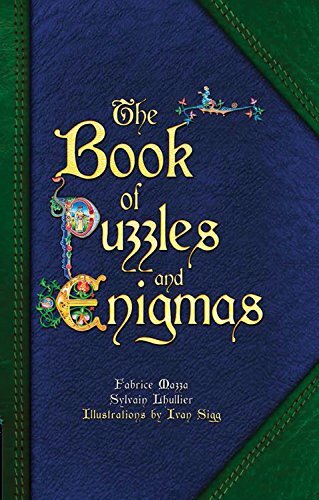 The Book of Puzzles & Enigmas looks like an ancient tome that's been sitting on a castle shelf for hundreds of years, though despite it's vintage appearance, it is in fact a new addition to your imaginative world. Illuminated lettering, tasteful illustration, and contemporary style make this book a highly original product. The puzzles inside range from simple riddles to challenging logic puzzles that will have you scratching your head for hours! 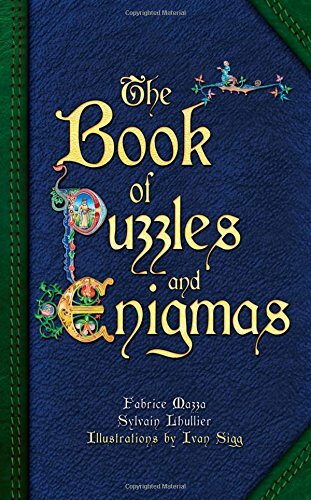 Fun for the whole family, The Book of Puzzles & Enigmas contains more than 100 superb puzzles that are guaranteed to get your brain spinning and your mind whirring. Set in long ago mythical times, Merlin the Magician, Avalon, King Arthur, and other mythical people and places feature prominently. 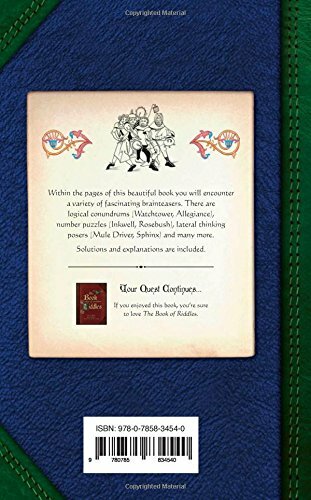 Within the pages of this beautiful book you will encounter a variety of fascinating brainteasers. 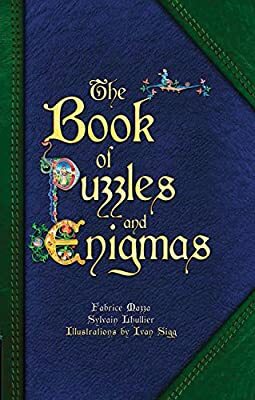 There are logical conundrums (watchtower, Allegiance), number puzzles (Inkwell, Rosebush), lateral thinking posers (Mule Driver, Sphinx) and many more to uncover!